I was somewhat taken aback by a letter released in the wake of President Obama’s visit to Israel, signed by 100 American Jews including a number of rabbis, communal leaders and academics, many, if not most of whom are politically inclined to the left but regard themselves as committed Zionists. It urged Prime Minister Binyamin Netanyahu to “work closely” with Secretary of State John Kerry to “devise pragmatic initiatives, consistent with Israel’s security needs, which would represent Israel’s readiness to make painful territorial sacrifices for the sake of peace”. The petition was orchestrated by the ‘Israel Policy Forum’ (IPF), a declining left wing Jewish group which is seeking to revive itself. It is the same organization which in 2005 provided the platform for former Israeli Prime Minister Ehud Olmert to deliver his notorious speech justifying the disastrous Gaza disengagement. His deplorable statement that “we are tired of fighting, we are tired of being courageous, we are tired of defeating our enemies” is likely to haunt him for the rest of his life. The IPF letter is by no means stylistically confrontational. 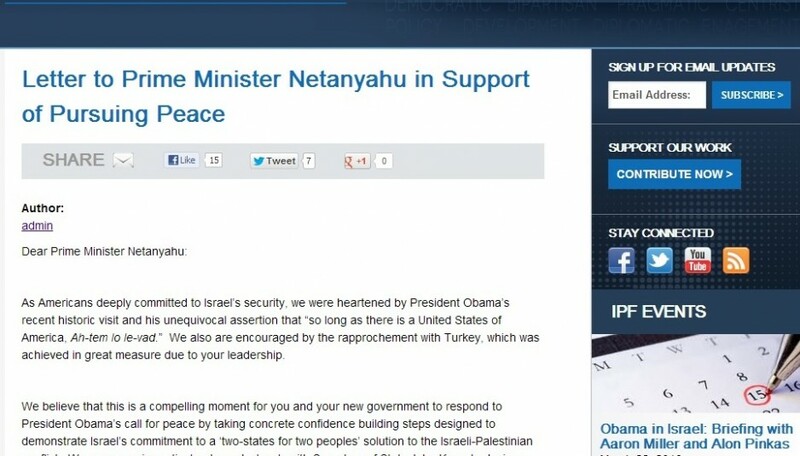 It even congratulates Netanyahu for displaying “leadership” in his yet unfulfilled efforts to achieve a “rapprochement” with Turkey. 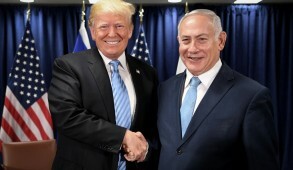 It also praises President Obama’s visit to Israel and urges Netanyahu to respond to his call by “taking concrete confidence building steps designed to demonstrate Israel’s commitment to a ‘two state for two peoples’ solution to the Israeli-Palestinian conflict”. Yet as I read and mulled over this letter, I became increasingly angered. Is it not somewhat of a chutzpa for American Jewish ‘leaders’, especially those who consider themselves to be Zionists, to provide unsolicited advice to the Israeli Prime Minister, calling on him to make further “painful territorial sacrifices for peace”? Have we not made sacrifices? And have territorial compromises brought us any closer to peace? Are these American Jewish leaders not aware of the disastrous consequences of unilateral territorial concessions such as the Gaza disengagement? 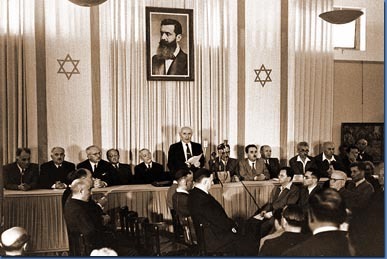 ‘Zionist’ Diaspora activists would never have had the gall to publicly convey such public declarations to Prime Minister Yitzchak Rabin or Menahem Begin. They would have been excoriated. One need only recollect Rabin’s violent denunciation of certain right wing AIPAC officials who dared question Israel’s security policies when the Oslo Accords were instituted. 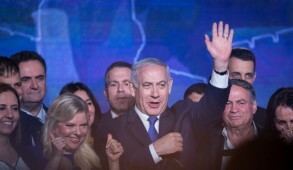 Such remarks are particularly offensive coming from a group like the IPF which the conservative ‘Emergency Committee for Israel’ justly pointed out had “from the safety of America, in the past recommended trusting Arafat, dividing Jerusalem, surrendering the Golan Heights to Syria, and withdrawing from territory that today is controlled by Iranian-backed terrorist groups”. 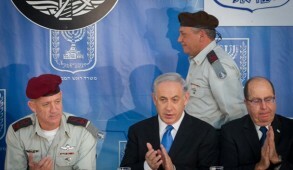 To what purpose is the IPF now placing the onus on Israel to make concessions in advance of negotiations? Has not the PA continuously spurned Israeli government offers to negotiate without any preconditions?, Even President Obama has now been obliged to tell Abbas that his tactic of seeking to extract concessions before negotiations were even in place was ludicrous and obliged him to endorse Israel’s call to the Palestinians to negotiate without preconditions. How can these American Jews justify preaching to Israeli leaders concerning the virtues of peace? They must be aware, that whatever their failings, Israelis who over successive generations with their families, have or are serving in the IDF, do not require patronizing lectures from “friends” abroad concerning the virtues of peace and making sacrifices to achieve it. Perhaps the IPF seeks to pressure Netanyahu to renew or up the ante on the offers of Prime Ministers Ehud Barak and Ehud Olmert to the PA when they offered to cede 95% of the territories over the green line but were totally rebuffed by the Palestinians. The letter incorporates the usual ritual incantation to Palestinian leaders “to take similar constructive steps including a return to the negotiating table”. Were the signatories aware that even disregarding Hamas, in recent years Mahmoud Abbas and the PA have not agreed to a single meaningful reciprocal concession? And that Abbas and other Palestinian leaders repeatedly reiterate that the disavowal of violence was based on pragmatic rather than moral grounds and frequently allude to reverting to the “armed struggle” if considered tactically advantageous. Besides, the deteriorating relationship with Gaza and the renewed launch of missiles against civilian targets makes meaningful negotiations with the PA – which proclaims its determination of reuniting with Hamas – an Alice in Wonderland absurdity. The timing of the IPF letter was undoubtedly designed to impact on Secretary of State John Kerry’s impending visit to the region. In the course of his visit to Israel, President Obama made a series of highly positive statements regarding the US commitment to Israel as well as personally expressing unprecedented praise of Zionism. 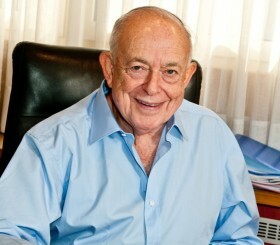 But at his address to a predominately left-wing student audience, he alluded to his earlier formula which, in terms of boundaries, paralleled the so-called Arab League peace initiative, originally orchestrated in 2002 by Saudi Arabia, which proposed a settlement based on the indefensible 1949 armistice lines and a return to Israel of the millions of descendants of so-called Arab refugees. It is rumored that Kerry is planning to promote this formulation which no responsible Israeli government could ever conceivably adopt and would be vehemently opposed by the vast majority of Israelis. One is therefore entitled to ask who would be the beneficiaries from such a letter? Clearly, especially as it emanates from purported Zionists, it exerts pressure exclusively on Israel. 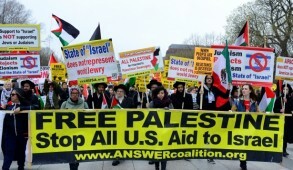 If concerned Jews genuinely sought to make a constructive contribution to the peace process, in lieu of writing letters to Netanyahu, they should send messages to Mahmoud Abbas (copying Secretary of State Kerry), demanding an end to the PA sponsored anti-Semitic incitement which is virtually indistinguishable from that of Hamas and urge him to recognize the Jewish state. We are accustomed to demented anti-Israeli Jews and IPF or J Street apparatchiks seeking to exert pressure on the Israeli government to make further unilateral concessions. But we are surely entitled to expect Jewish activists, especially those who regard themselves as Zionists, to pause and reflect on the ramifications of endorsing letters promoting policies impinging on security to an Israeli government under siege politically and militarily from its adversaries. Such initiatives serve no purpose other than to weaken Israel’s ability to negotiate and undermine its security. Were the signatories living in Israel and calling on their government to take “confidence building measures”, they would be acting within their legitimate democratic rights. But they would also be sharing the impact of such decisions on the security and lives of their families. We are entitled to expect Zionists not to behave like the naïve “fellow travelers” who during the Cold War blindly endorsed communist peace petitions which ultimately only promoted the interests the Evil Empire. It is unethical and unconscionable for bleeding heart American Zionist “friends” to display disrespect and intervene to thwart the policies determined by the democratically elected leaders of Israel or offer them patronizing advice on how best to ensure their security. 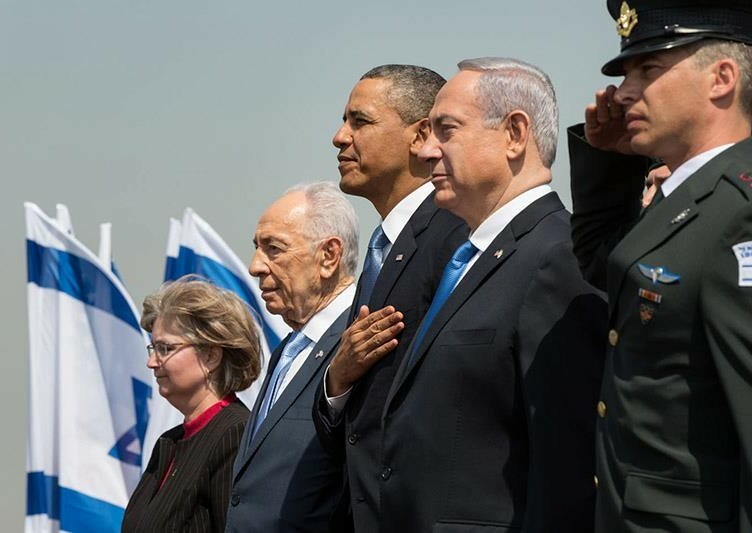 Obama’s Visit to Israel: A Turning Point?